Published: Dec. 14, 2009 at 05:25 a.m.
(1:11) K.Faulk right guard for 3 yards, TOUCHDOWN. Published: Dec. 13, 2009 at 02:31 p.m.
Kevin Faulk ties up the game in the 2nd quarter with a 3-yard touchdown run against Carolina. Published: Dec. 7, 2009 at 04:35 a.m.
(15:00) (Shotgun) K.Faulk left guard for 6 yards, TOUCHDOWN. 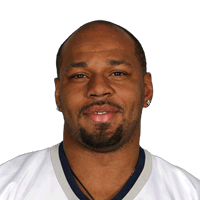 Published: Dec. 6, 2009 at 01:41 p.m.
Kevin Faulk scores on a 6-yard TD run to give the Patriots a 14-0 lead vs. the Dolphins.